to find out about gigs, music, latest news and to listen to some tracks. New Album, Dark Clouds is now available. Only £6. Buy here! You may now also download a copy here! 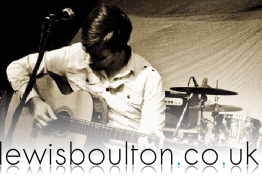 Lewis Boulton is one of the finest emerging musicians from the Black Country. Performing regularly at gigs around the West Midlands, in Worcestershire and South Wales, he is building a reputation for himself as a talented guitarist and superb songwriter. Lewis started a heavy rock band, Thallium, when he was still at high school, and played in numerous other bands as a session guitarist, giving him early experience with gigs, performing covers and writing new material within many genres. Now, he has matured into an accomplished performer, whose musicianship is complemented by the emotional power of his vocals, giving contemporary blues an exciting new artist. Many of his songs receive regular airplay, and DJ Marty Donovan describes Lewis as "the newest, freshest UK sound I've have the pleasure to listen to in a very long time". Among his influences, Lewis lists singer/songwriters John Mayer and Jackson Browne. 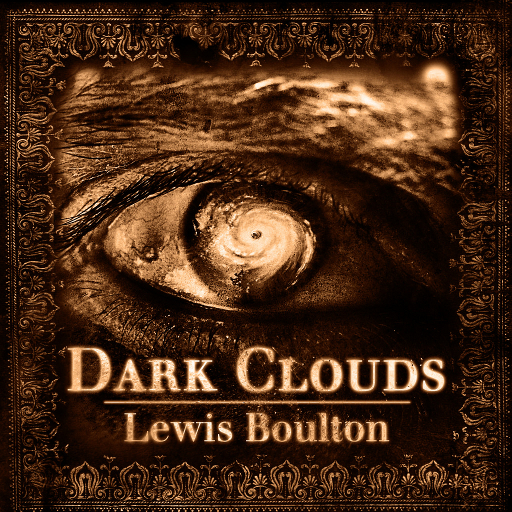 The album, Dark Clouds, is available from his website or from the man himself at the venues in which he performs. He is available for bookings anywhere in the UK. "Lewis Boulton is the newest, freshest UK sound I’ve have the pleasure to listen to in a very long time straight from the Black Country" ~ Marty Dee Donovan, radio DJ. All design and content © 2009-2019 Lewis Boulton.